That upward trajectory is fueling an active startup ecosystem. Around the globe, entrepreneurs are working on disruptive solutions to fix inefficiencies and address pain points, with work spanning from small-scale individual developers in remote corners of the globe to well-funded initiatives in tech epicenters. And while those infusions of cash have driven notable growth and innovation, the dominance of venture funding in the balance sheets of travel startups can also bring incredible pressure to get to an exit – a merger, acquisition or initial public offering. Of the nearly 2,000 B2B and B2C startups founded in the last 10 years, 12% have been acquired. That leaves many potentially still seeking a suitor. For the final piece in our month-long series on startups, we gathered learnings from three companies that have been purchased in recent years. Skyscanner. Routehappy. FareHarbor. These three companies operate in very different segments of travel, and they each took different paths from startup to acquisition. Metasearch engine Skyscanner, the oldest of the three, launched in 2003 in Scotland and made a handful of acquisitions of its own before it was purchased by Ctrip in November 2016 for approximately $1.7 billion. RouteHappy, a provider of rich content for airline shopping, launched in 2011 in New York, raised about $8 million in four funding rounds, and then ATPCO purchased it in February 2018. And FareHarbor, founded in Hawaii in 2013, had only taken in about $100,000 in funding before it caught the attention of Booking Holdings, which bought the tours and activities distribution platform in April 2018. And yet when asked about the process of going from being a startup to being acquired, the tips offered by executives from these three companies sound remarkably similar. Startups are often lean operations, small teams with long to-do lists. If acquisition is an ambition, Routehappy chief commercial officer Jonathan Savitch says it’s important to have clear goals and to avoid distractions that don’t advance that outcome. “We were ambitious but concrete,” he says. FareHarbor founder and CEO Lawrence Hester says as a startup’s business grows, founders should also focus on meaningful metrics rather than the so-called “vanity” metrics that may not hold value for an acquirer. “Make sure the KPIs [key performance indicators] your business is focused on, on a day-to-day basis, are actually driving your business forward and something that an acquirer might find attractive,” Hester says. Relationship-building is critical for startups for many reasons. For one, it can fuel business. As large as the travel industry is, it is also in some ways small – those on the inside know one another and can make introductions that generate new clients for a startup. In the years before Routehappy’s acquisition, it had signed partnerships with Expedia, Skyscanner, United Airlines and Air Canada. Savitch says those types of engagements provide validation and momentum that can make a startup more appealing to an acquirer. Skyscanner chief legal officer Carolyn Jameson says it was her company’s past relationship with the senior team at Ctrip that facilitated its acquisition. “It really helped it to go along so smoothly and ultimately helped it reach a conclusion, because often with these things, they don’t,” she says. Networking can happen in a variety of ways. Often introductions are made by investors or board members. Or it can happen more spontaneously at industry events – which is how Hester says he first met the leaders from Booking. “A large part of it is somewhat random. 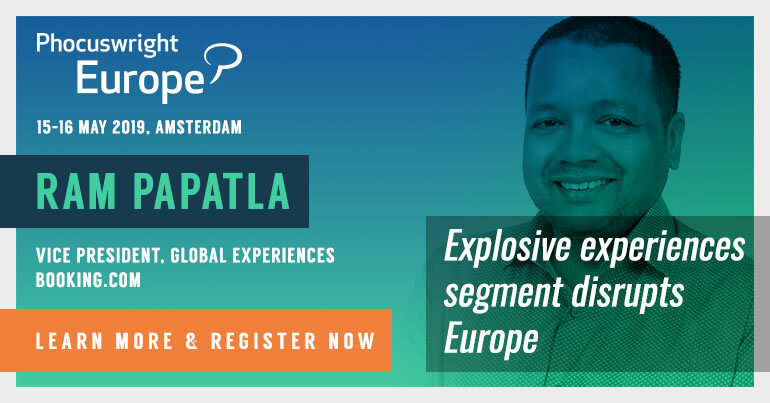 For our own Booking introduction, it was a random person at actually the Phocuswright Conference that introduced me to the Booking team,” he says. On first glance, Ctrip and Skyscanner may look like strange bedfellows - China's largest online travel agency and an Edinburgh-based metasearch engine – miles apart geographically and culturally. But Jameson says the pairing arose out of mutual benefit. "We spent hours going through emails and Dropbox files and random downloaded files on our computers trying to put together the entire diligence room." Ctrip was far, far bigger, and it was operating in quite a different market geographically and from a consumer and product perspective, Jameson says. Mutual benefit goes hand in hand with mutual respect. “If you are bigger company and you buy a smaller company and then you just impose yourself on them, you can lose what that company you bought was all about and the things you found attractive in the first place,” Jameson says. “Ctrip has been really good about not doing that. The foundation for that type of positive relationship starts from the beginning of the acquisition process. Jameson, Savitch and Hester all spoke of “fit” and considering whether the people and values of the potential buyer align with those of your startup. “When you are going through the process of the sale you are probably not thinking about fit nearly as much as you should,” Hester says. The top tip for startups is something that needs to begin on day one – even before the business gets traction, before funding rounds begin and before the idea of an acquisition goes from a dream to a possibility. "At the point of having those discussion around acquisitions, I have never, ever seen a situation where somebody doesn’t find it a bit overwhelming or a bit scary." But the message is the same: Startup founders should be pristine record-keepers, with formalized processes and contracts from the very beginning. “Make sure you have copies of all your contracts, that you have clear documented policies for everything related to intellectual property to employment policies to security provisions,” Savitch says. In the early days, startups often employ people on a contract basis and Jameson says during the acquisition problem they often face a problem that is all too common – and avoidable. “People use contractors to do work and don’t realize they don’t necessarily own that intellectual property, and then it comes to the point of sale and I’ve seen situations where people start demanding money and things like that,” she says. 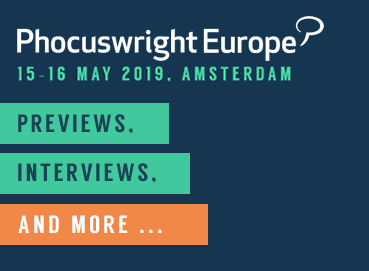 Find out more about Phocuswright's research into the travel industry and register for updates on new releases. Hester’s experience is particularly telling. As a startup that was not backed by venture capital, FareHarbor had not gone through a full round of due diligence when talks began with Booking. So the process was much more lengthy and stressful than it should have been. “We spent hours going through emails and Dropbox files and random downloaded files on our computers trying to put together the entire diligence room,” he says. Jameson has a unique perspective, having been involved in both Skyscanner’s acquisitions of startups such as Distinction, Youbibi and Twizoo while also being on the other side of the table for the acquisition by Ctrip. “The thing I’ve learned from doing these is you have to remember there are people behind it at the end of the day,” Jameson says. “We always talk about companies as companies, but ultimately a group of people have built them from scratch. At the point of having those discussion around acquisitions, I have never, ever seen a situation where somebody doesn’t find it a bit overwhelming or a bit scary.